The Smartest Guys in the Room (2003) tells the remarkable tale of energy trader Enron – once a poster child for market innovation on Wall Street – and its dramatic fall from stratospheric heights. 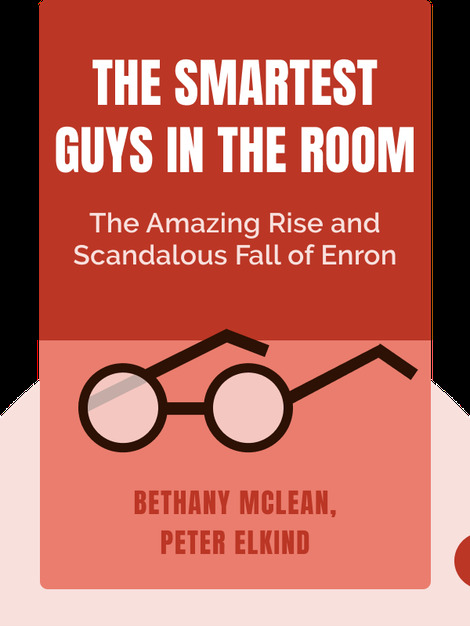 These blinks detail a gripping story of financial deceit, while shedding light on the personalities that built Enron’s corporate culture and set it up for disaster. 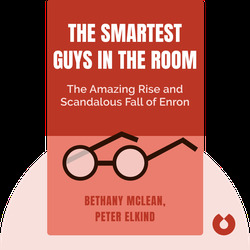 Bethany McLean authored Fortune’s March 2001 article “Is Enron Overpriced?” and in doing so became the first person at a national publication to openly question what went on at Enron. McLean now works as a contributing editor at Vanity Fair and a columnist at Reuters. Peter Elkind, an award-winning investigative reporter, authored The Death Shift and Client 9: The Rise and Fall of Eliot Spitzer. He has previously published articles in The New York Times and The Washington Post and is now editor-at-large at Fortune.